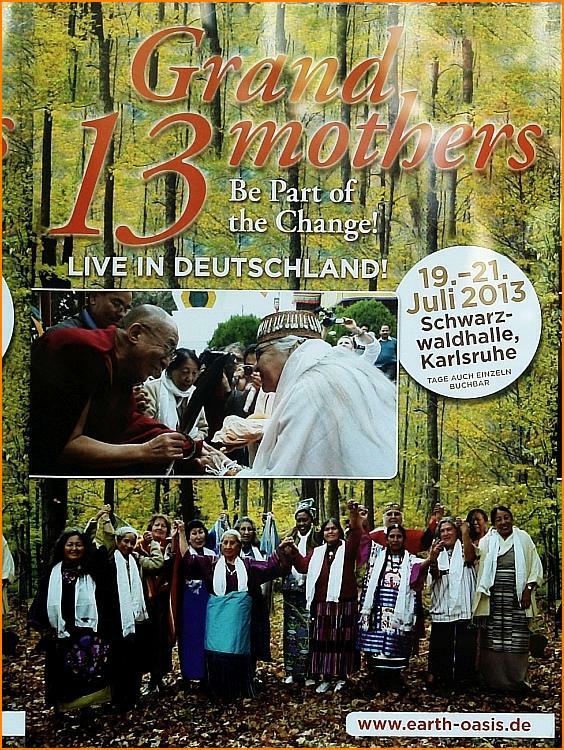 It is not amazing for insiders that this 1st World Congress takes place in Karlsruhe, Germany, of all cities. Already in 2004 during the 1st World Congress of Healers in Graz, the leading spiritual elite of the world announced that Karlsruhe and surrounding areas will be the epicenter of spiritual growth and that world piece will come from Karlsruhe. If we are to believe in this intuitive knowledge, also the year of birth of the Council of 13 Indigenous Grandmothers may be understood as part of this peace initiative. It is precisely the year 2004, when already the 1st World Congress of Spirituals takes place, that the International Council of Grandmothers is established. 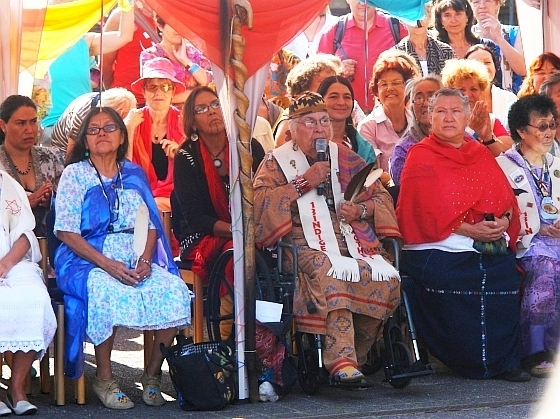 The 13 grandmothers were lead together thanks to the power of their visions and prophecies. This power is based on the fact that their spirits are deeply connected with each other. Their goal is the revival of world peace symbolized by the inflammation of the Holy Flame which stands for understanding, cohesion and the preservation of the respective traditions. 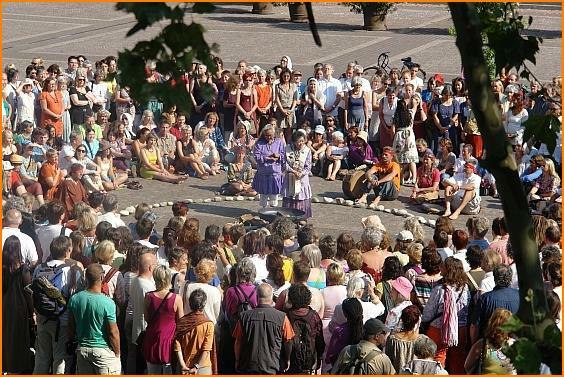 The 13 grandmothers followed this appeal and met for the first time in October 2004 at the global meeting of women in Menla Mountain Retreat in the state of New York. 13 Grandmothers – Be Part of the Change! 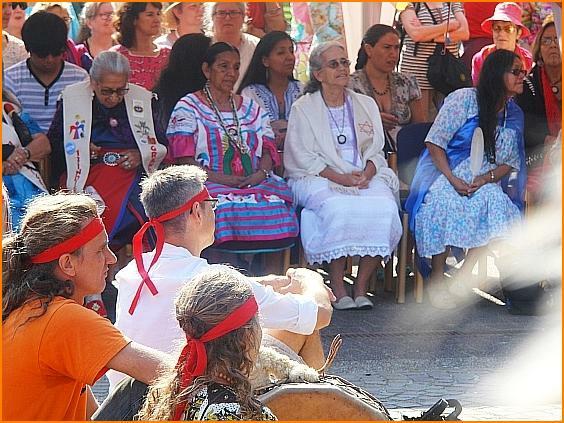 The intention to create world peace comes now with the 13 Indigenous Grandmothers to Karlsruhe. Seven grandmothers from Germany and Switzerland had the idea, together with Udo Grube from Horizon, to invite the grandmothers to Germany. These European grandmothers are mainly to be found at the natural power places like the “Extern-Steine (2) and in the Teutoburger Forest”. Thus one of these German grandmothers held with moving words her opening speech focusing mainly on the initiation of the grandmother-energies in Germany: Animals and stones are our brothers and sisters. Patron of the event – hosted by Earth Oasis – is the actor Ralf Bauer. The destruction of Mother Earth and the destruction of the indigenous ways of life have to be stopped. NOW! The teachings of the Old and Wise will be illuminated again. The air and the water are our lifelines. We will have a future full of light. It is the duty of all of us to preserve the cultures, the kind of way how we lead our lives. Start projects for children in order to appreciate them and to appreciate the Earth and our Creator. Healing of Mother Earth and everything which is related to her. We live in accordance with the Grace of the Creator of this Earth. „Our Creator gave me a voice so that I can speak for those who do not have a voice and these are the animals, the water, the air, Mother Earth, Grandfather Fire and everything beyond.“, says Grandmother Agnes. 13 Indigenous Grandmothers celebrating holy rituals in order to save the earth. The protection of the water is for all grandmothers in unison in their most heart. Their mission: All our babies are babies of the water. Water is the first medicine. Water can hear, the water within you can speak. Bless the water every morning, like this you are blessing yourself! Thank the spirit of the water. Water and fire rituals of inauguration underlined the faith and the seriousness of the message of the 13 grandmothers during the entire congress. The International Ambassador of the Council, Pauline Tangiora from New Zealand, is talking about the tasks of the Council of the 13 Indigenous Grandmothers. “We are thirteen grandmothers from the indigenous cultures who met for the first time from 11 until 17 October 2004 in Phoenicia in the state of New York, USA. We came from all directions in order to meet in the Land of the Iroquois. We came from the Arctic Circle, from the Amazon, from the deep forests of the Northwest of the United States, from the North American Prairies, the Mexican highlands, the Black Hills of South Dakota, the mountains of Oaxaca, the South American desert, the Tibetan mountains and from the Central African rainforest. Our common Vision of a new global Alliance brought us together. 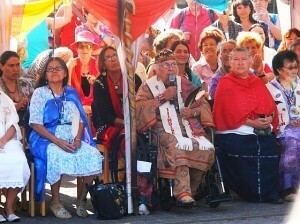 We are the International Council of the Grandmothers. By means of our associating with each other our voices became one voice. 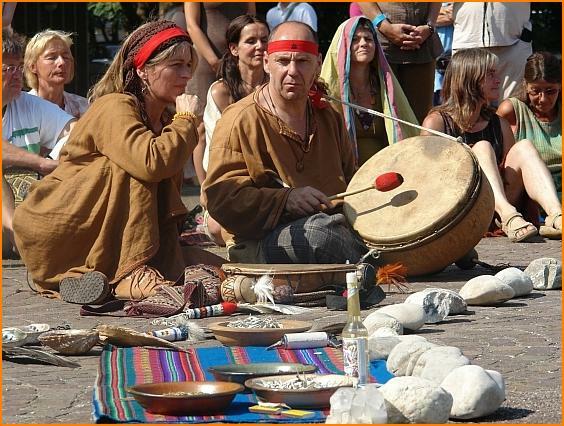 Our connection is characterized by prayer, education and healing of Mother Earth and all its inhabitants. We are deeply concerned by the destruction of the earth; the poisoning of the air, the waters and the earth, the atrocities of war, the threat of nuclear weapons and nuclear waste, the increasing poverty, the prevailing culture of materialism, the epidemics that threaten humanity, the exploitation of the indigenous people and the destruction of indigenous ways of life.